My sister and niece were here from Toronto last weekend to visit the boys attending summer camp not far from the city. I was able to spend time with each of them at the apartment and to my delight two quilts have found a new home. 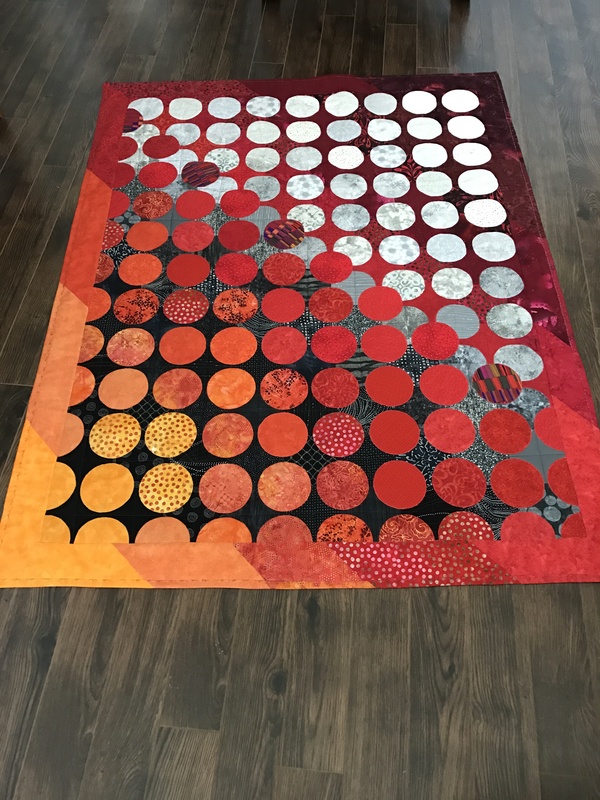 My niece fell in love with this “Double Vision” quilt which I completed in 2017. She has new light furniture in her family room and this quilt will be a bright addition to the room. My sister came over a few days later – I showed her the quilt I wanted her to take back to Toronto for my niece. She loved the red. 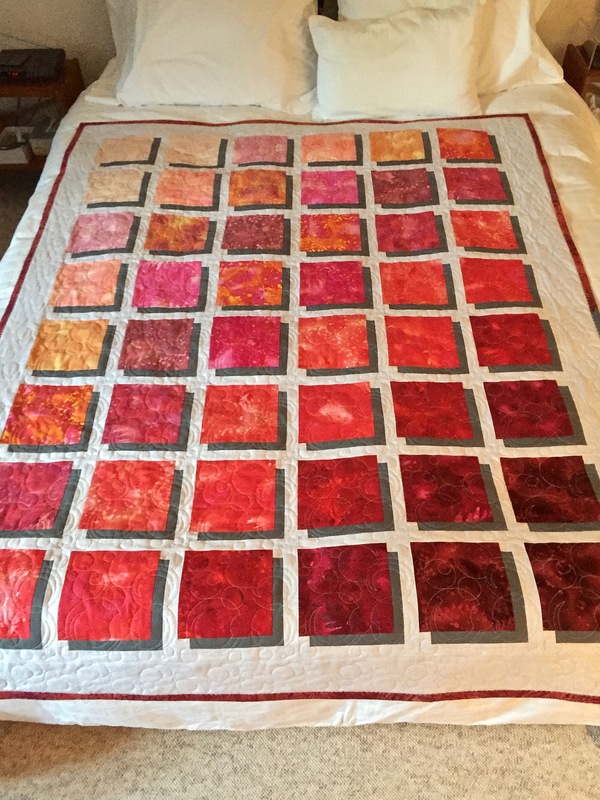 I mentioned there were more red quilts in my closet. In the end she chose the Shadow Quilt I made in 2016 to complement her new grey furniture. I love how the red blocks seem to float above the background – that, of course, is the effect of having a drop shadow on an image, it creates the illusion of depth. That gives me room to make two new quilts. I have to go through what I have in the collection and see if I can find homes for a few more of them.